Once upon a time, long before this site existed, I had a neatly typed piece of paper. On this piece of paper was a list of all of the best FOAMed sites that I routinely used for enhancing my knowledge. I was so excited about how many phenomenal resources were available at no cost, that I wanted to share them with everyone I knew. Then, one day, I got a great idea. I decided to create a free website where I could place links to all of the sites on my piece of paper. Then, when I wanted to share this information with someone, I could simply give them a URL. That simple URL list eventually evolved into what Ditch Doc EM is today. So here are my favorite FOAMed sites. Yes, I know that not all of them are, by definition, FOAMed sites, but they all contain (at least some) free medical education. This list is by no means all-inclusive, so if there is a site that you think I should add, please let me know. If you are a new FOAMed producer and would like me to list your site, please let me know as well. 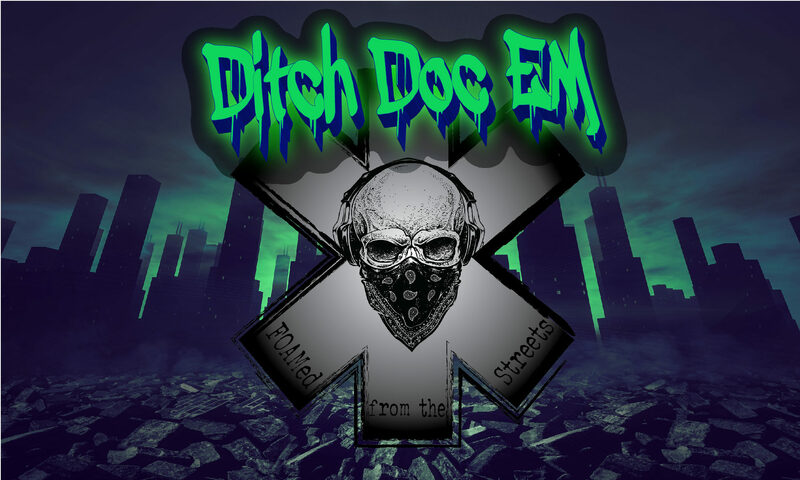 If you are looking for offline educational materials, check out the Ditch Doc EM Recommended Reading Page. There are a ton of great books there which will be sure to quench your thirst for knowledge, and maybe even entertain you! EMCrit– Headlined by Dr. Scott Weingart, this is an excellent blog and podcast for all things emergency/critical care. Dr. Josh Farkas (PulmCrit) provides some of the best critical care pulmonology info around. One of the best FOAMed sites around. Life in the Fast Lane– Probably the most comprehensive FOAMed site around. Founded by Dr. Mike Cadogan & Dr. Chris Nickson, LITFL has solid, easily consumable content. Excellent EKG resource among other things. The Pediatric Emergency Playbook– The best pediatric podcast there is bar none. Dr. Tim Horeczko delivers quality, practice changing content with the best sound quality of any podcast I have ever heard. Get the play by play on your worst pediatric nightmares. FOAM EM – RSS feed site of many EM FOAM Blogs. Every morning when my alarm goes off, the first thing I do is check my email for this feed. If you want to stay current across all the FOAMed sources on the web, this is the ticket. FlightBridgeED – Besides having an excellent test prep service for the FP-C and CCP-C exams, FlightBridgeED has two excellent podcasts. The FlightBridgeED Podcast, hosted by Eric Bauer, and the Second Shift Podcast, hosted by Mike Verkest. @FOAMfrat – Tyler Christifulli and Sam Ireland deliver high-quality content, which is sure to improve the skills and knowledge of providers of all levels. From basic airway principles to ventilators, to resuscitationist mindset, these guys are always on point! EMDocs – EMDocs gives quality content that is brief, clear, and concise. No matter if you are looking for some fast facts in their EM@3AM segment, or a review of the latest study, EMDocs has got you covered. R.E.B.E.L. EM – R.E.B.E.L. EM stands for Rational Evidence Based Evaluation of Literature in Emergency Medicine. You will never run out of interesting, evidence based topics on this site! With an all-star team of contributors, this crew always keeps you in the loop! CanadiEM – This is an outstanding resource that publishes high-quality content on a regular basis. Home of the CRACKCast Podcast, where each week the crew covers a chapter of Rosen’s Emergency Medicine. Dr. Smith’s ECG Blog– Dr. Smith curates EKG’s from providers all over the world, and gives expert insight into their interpretation. He has a plethora of content including articles, videos, and downloadable files. If you are a paramedic and you don’t read Dr. Smith’s blog, you’re wrong! Difficult Airway Society – Good airway resource with up to date publications. Open Airway– Open access meducation for all aspects of airway management. Airway Management Academy – a Non-profit worldwide network of airway educators. They have some videos worth checking out. EMS 12-Lead – One of the best 12-Lead resources on the web! With content that is geared toward EMS decision making and critical thinking, you won’t be disappointed! Easy Auscultation – Awesome link for improving your heart and lung auscultation skills. Rhythm Strip Flashcard Practice – MonitorTech.org provides nearly 200 EKG rhythm strip identification flashcards, free of charge! Learn the Heart– a Good reference that provides some fun quizzes. Skill Stat– ECG rhythm identification challenge. ICU Room– Daily critical care question and answer. Propofology.com– FOAMed in Anesthesia, ICU & Pain Medicine. Academic Life in Emergency Medicine (ALiEM) – ALiEM releases content regularly that caters to emergency physicians, and is some of the best on the web! Emergency Medicine Cases – Emergency Medicine Cases uses a case study approach to teaching EM. They have an outstanding podcast that is sure to make a long commute fly by! Brainwaves – Dr. Jim Seigler discusses everything neuro in excellent detail. Straightforward podcast with quality show notes. Trauma.org – International trauma news and resources. ATACC Course Manual– The Anesthesia, Trauma and Critical Care Courseware available free! Stanford 25 – Stanford university physical assessment essentials. DermIS – Comprehensive dermatology reference, very interesting. Medscape – Medical reference and news, great pill identifier. Merck Manual – The essential resource, 100% free online. kpLibraries– Links to royalty free medical image libraries. Wiki Doc-Free Wikipedia type medical reference. Wiki EM– Free Wikipedia style, yep, you guessed it- EM reference.